Adolph Friedrich Erdmann von Menzel (also known as Adolph Menzel) was a German artist who produced a number of paintings, etchings and drawings as a painter, etcher and illustrator during the 19th century. He was born on December 9, 1815 in Breslau, Silesia, which is now known as Wroclaw, Poland. Menzel was one of two very prominent artists during the 19th century in Germany. The other one was Caspar David Friedrich, who was into Romanticism, compared to Menzel who supported Realism. Menzel, who was a history painter, was the most successful artist during his time. He was so popular in Germany that many of his major works never left Germany, as these were immediately grabbed by Berlin museums. Other than his friends and acquaintances in Germany, Menzel usually kept to himself, mainly due to his physical attributes. He was only four foot six inches in height and was born with a large head. He did travel to find subjects, meet other artists and attend exhibitions, though. From the years 1839 to 1842, Menzel was able to create 400 drawings; most of them introduced wood engraving to Germany. These were used as illustrations for several books. He also started to study painting on his own, and was soon producing a wide variety of paintings, showing his brand of workmanship and his skill in keenly observing life around him. He was given an invitation to paint The Coronation of William I at Koenigsberg. 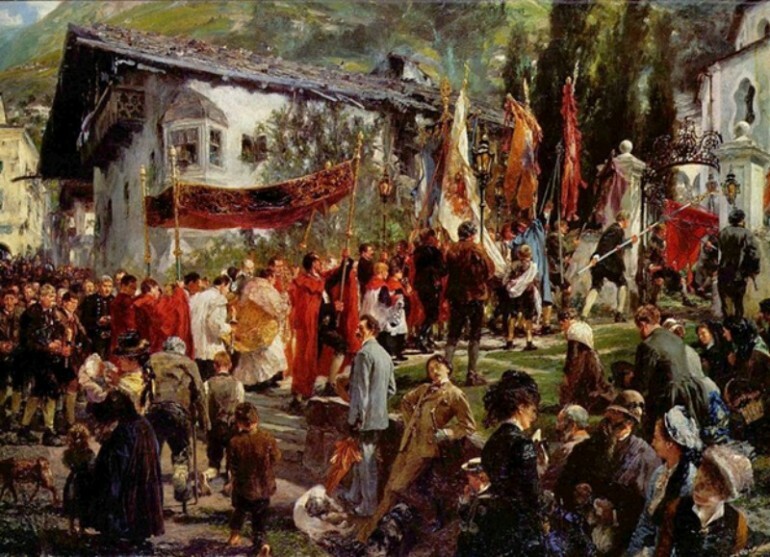 Menzel recreated the ceremony as it happened without any regard to the conventions usually imposed on official paintings. 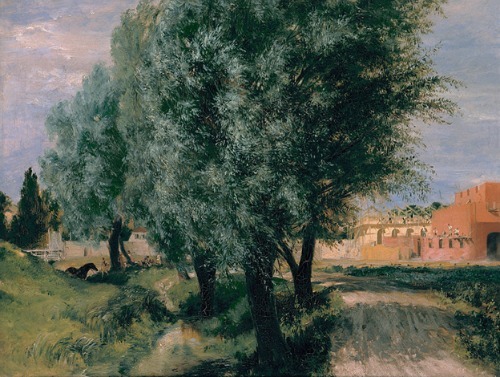 Adolph Menzel’s historical illustrations showed the qualities of early Impressionism, particularly in his works such as “The Palace Garden of Prince Albert” and “The French Window.” Both these painting showed a relationship to English and French art. He also showed his belief in Realism in his private watercolors and drawings of dying and dead soldiers in 1866 during the Austro-Prussian War, where he showed scenes with so much realism. While he created realistic history paintings, he also painted several pictures showing his Impressionist style, although he kept them private, with a number of paintings kept hidden from public eye. The modern version of Realism started in France, with Gustave Courbet, Jean-Francois Millet and Honore Daumier as pioneers. In Germany however, artists were still focused on adding idealistic content and narrative to a picture. It was via this background that Menzel created history paintings, initially focused on the life on court of Frederick the Great, the Emperor from Prussia. Menzel’s surviving works are still quite extensive, with some 10,000 drawings owned privately or found in various museums in Germany.